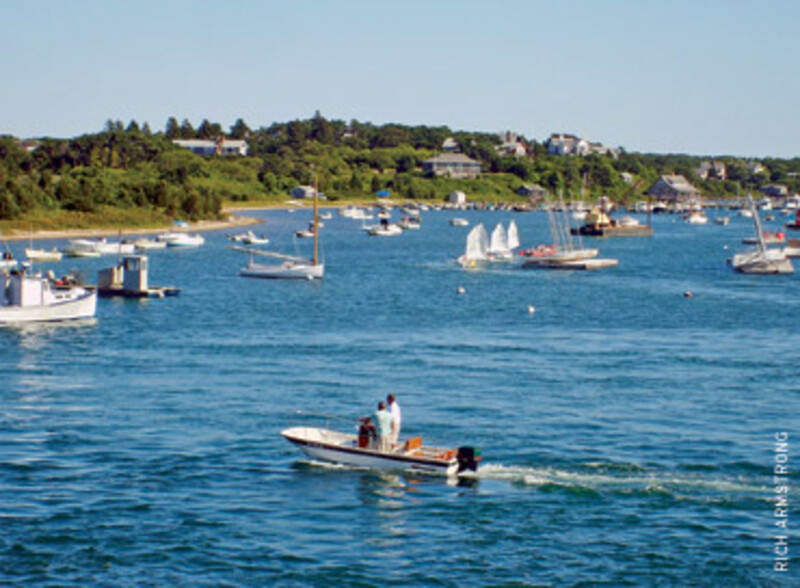 Editor&apos;s note: For this story, we looked at the boating industry and economies along the New England coast - Connecticut, Maine, Massachusetts, New Hampshire, and Rhode Island - in addition to New York. The Northeast Climatic Data Center includes Delaware, Pennsylvania, Vermont and West Virginia in its reference to the Northeast. The Northeast historically has been "last in, last out" - slower to feel the effects of a recession and slower to shake them off. It&apos;s been no exception this time, at least in terms of the "in," say industry leaders and business owners in the region. The timing of the "out" remains to be seen, but at least one forecast indicates recovery could come sooner than the historical pattern suggests. The New England Economic Partnership predicts the region will benefit from the transition to a service economy. With a higher percentage of jobs based on education, health and other services, the economy isn&apos;t as dependent on strong business conditions. In fact, the economists reason, demand for some of those services - mental health counseling in particular - rises when times are tough. For those in the boating business, the economy wasn&apos;t the only bad news in 2009. The Northeast endured its ninth rainiest summer in 115 years of record-keeping, according to the Northeast Climatic Data Center. Massachusetts had 152 percent of normal rainfall, making it the third wettest summer ever, and Maine and New Hampshire had their sixth rainiest summers ever. Rhode Island had its second wettest July on record. The weather hardship didn&apos;t end with rain. The Northeast saw its third coolest July since 1895, with New England showing the coldest temperatures. Massachusetts and Rhode Island had the 10th coolest June in 115 years. "It was a lousy summer for boating," says Massachusetts native Jay Freer, preparing his trailer Oct. 1 to haul out his 23-foot Mako. It was a typical haulout date for him, but Freer says he just didn&apos;t get many opportunities to enjoy his boat this year. "I really think the story of 2009 is weather," says Chris Squeri, executive director of the New York Marine Trades Association. "The economy doesn&apos;t help, but ... as waterfront restaurants will tell you, weather dictates your business. They say location, location, location, but when it&apos;s on the waterfront it&apos;s weather, weather, weather." New boat sales in the region lagged behind the nation as a whole. In June, they were down 26.8 percent nationally from the prior year in the 18- to 29-foot segment, but in Rhode Island they were off 45.3 percent and 40.2 percent in Connecticut. Sales in New Hampshire and New York were down 34.8 percent and 33.2 percent, respectively. Massachusetts came closest to matching the national decline at 27 percent. While most marina slips earmarked for local boaters remained full, transient traffic was down along the Northeastern seaboard - an area that relies on summer tourism. But even with the double whammy of bad weather and a sagging economy, some industry people say they see glimmers of light at the end of the tunnel. August was better for those located in one of the many Northeastern spots that enjoyed a warmer-than-usual month. Fuel prices were drastically lower in 2009 - in some areas half what they were in 2008 - and that gave the boating business some momentum. The New England Economic Partnership had projected that unemployment numbers would grow more rapidly than the national average in the second half of 2009. The jobless rate did rise, but with the exception of Rhode Island (where it was an astronomical 13 percent), the other states were below the national average of 9.8 percent in September. On another positive note, some dealers in New Hampshire and Maine say sales to Canadian customers helped offset the slow summer. The weather was spotty in terms of the rain and chilly temperatures, but it seemed most places experienced record-setting cold and precipitation at some point. "Going into the season, we didn&apos;t catch a break," says Squeri. "June in New York, it rained 25 out of 30 days without a break. Fuel was reasonable, but I think the weather hurt us." Slip occupancy, however, was down only 5 to 10 percent, says Squeri, and most of that decline was in transient slips. August, though warmer and dryer in some Northern areas, was rainy on weekends in New York, Squeri says. On some weekends, tropical storms passing well offshore kicked up seas and caused many to cancel reservations in Montauk, Squeri says. Rough conditions in the bays kept the weekend warriors at home. It was a tough summer at Megrew&apos;s Boats in Charlestown, R.I., says co-owner Elaine Megrew. "The rain started in May, lasted all through June, and didn&apos;t stop until we were in the second week of July," says Megrew. "Then we found out that there wasn&apos;t a summer." The year began very well, she says. In fact, until May McGrew&apos;s was having its best year since 1987. The business sells Hobie Cats and other small boats, offers dry storage and sells outboards up to 115 hp. "We were excited," says Megrew. "Until April we were on par with record sales. And then we were hearing a lot of negatives, and the negatives began to hit us, and then the weather took a turn. We were so dead in the month of June that we didn&apos;t know where we were headed. I had more activity in my store in March than June. I&apos;m in a tourist area. ... The population comes in with the weather. It was a scary season for us." An uncharacteristically hot August helped boost sales, Megrew says, but it wasn&apos;t enough to make up for the business lost in June and July. driven," says Swanton. "So it was a bit of a downer for us, and I think it was the same for the rest of New England." 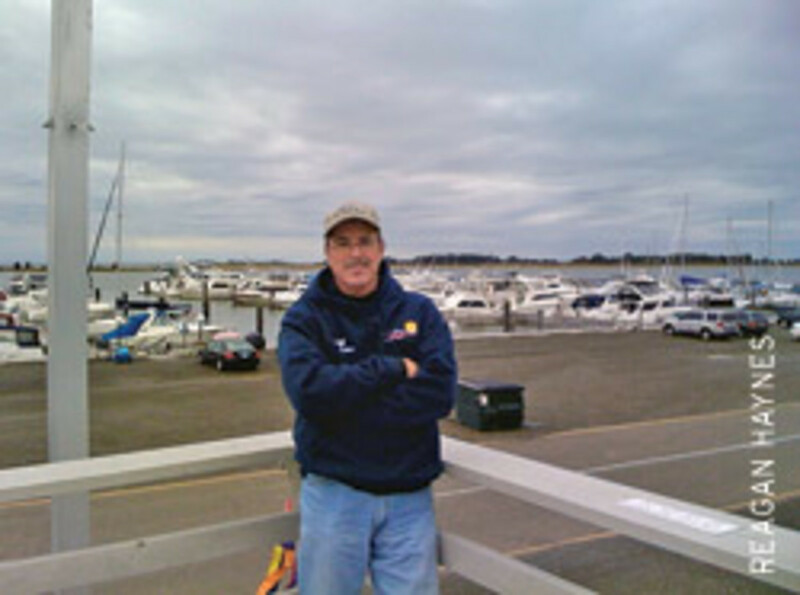 Cold, rainy weather in June and July "devastates the whole mindset" of boating, says Rich Reo, owner of Reo Marine in South Portland, Maine. And when weather is consistently bad, vacationers hold out for warmer days. Even if the weather winds up being beautiful, ominous forecasts prompt boaters to make other plans, says Grant Westerson, executive director of the Connecticut Marine Trades Association. "One of the things that impacted boating in general with the lousy weather is, A) boats weren&apos;t selling, and B) people who already had boats weren&apos;t using them," he says. "If you don&apos;t use them, you don&apos;t break them, so repair business was also quite slow in the spring and summer. Finally when people went out, repair business did pick up." Dockage and storage stayed strong, helping supplement businesses that were being hit everywhere else, Westerson says. Marinas were basically full, though they had to spend money on advertising for the first time in 2009, says Westerson. Freer, the Massachusetts boater with the Mako 23, says he got a flier in the mail from a usually hard-to-get-into Boston-area marina saying there were slips available, but he opted to stay with his less-expensive yacht club. The facilities that rely mostly on transient traffic took a hit this summer, Westerson says, but most are multifaceted and can work around the slumps. Provincetown, Mass., has so few recreational and transient slips (only about 50) that harbormaster Rex McKinsey didn&apos;t see many of them empty. However, there was less activity in the mooring fields, he says. "We have a pretty unique slice of the country here," says McKinsey. "While our tourism and traffic was down, it probably wasn&apos;t down as much as some other ports. The economy had more of an effect on recreational boating than commercial boating." Slip rentals were off about 12 percent at Cedar Island Marina in Clinton, Conn., says owner Jeff Shapiro. "I think, given this economy, that was very good," Shapiro says. "One reason we weren&apos;t emptier was because most people who wanted to sell their boat couldn&apos;t. It wasn&apos;t like in the past; it wasn&apos;t like people went somewhere cheaper." All in all, business at Cedar Island declined about a third from 2007 to 2008, but stayed on par for 2009. While June and August were down about 50 percent for transient traffic, July was about double and evened things out, Shapiro says. Sales declined in some Northeastern areas more rapidly than they did nationally this summer, according to data from Grand Rapids, Mich.-based Statistical Surveys Inc., which tracks the marine industry. "It has been extremely difficult to sell a boat for the last 12 months," says Squeri. There have been pockets of activity with used boats under $50,000, he says, but the new-boat market has been tough. "I believe the winter is probably going to be tougher than last winter," Squeri says. "We&apos;re trying to be positive, but we also have to be realistic. These are probably some of the toughest times some of these guys have ever seen." Because many states only report registrations quarterly, Statistical Surveys gave breakdowns of six early-reporting areas in the Northeast during the summer months: Glens Falls, N.Y., Hartford, Conn., New Haven/Waterbury/Meriden, Conn., New London/Norwich, Conn., and New York City. It appears that when the weather was good, people were out shopping for very small boats, 17 feet and smaller. In May, boats in that segment fared better than the national decline of 27 percent with the exception of Glens Falls, supporting the theories of both dealers and trade association executives that the boats that are selling are smaller. During that same time, sales in the 18- to 29-foot sport category were much worse than the national decline of 36.2 percent, most notably in New Haven where sales were off 62.5 percent from May 2008. Megrew, the Rhode Island dealer, says even with her slow June to early July, she had to keep ordering kayaks and has very few in stock now. Kayak sales are also exploding in Maine, which is probably due to several factors, including the fact that they are relatively cheap, can be launched anywhere, can be transported on top of a car, easily carried on short vacations and are easy to put on the water anytime. Floor traffic this summer was off between 30 and 40 percent at Reo Marine in Maine, according to Reo. "It was just not happening," he says. "They have a lot to pick from when they are out shopping. There&apos;s a lot of boat inventory out there." Reo doesn&apos;t think there have been as many repossessions in Maine as in some states, but he always sees boats for sale on the sides of roads, he says. In Pawcatuck, Conn., however, Northeast Marine Liquidation is having its best year in 19 years of business "by a good margin," according to owner Brad Ferguson. The business, located about five miles from Mystic, Conn., is up about 25 percent this year from last - both in repossessions and sales, Ferguson says. Most of his repo clients are banks; he rarely does dealer pickups when they go under because of manufacturer buy-back agreements, though he has done them and says he will continue to do them when necessary. Ferguson says his robust sales prove there are still boat buyers out there. "They are discounted, and I think there&apos;s a lot of people who wait for this type of environment to do their purchasing," he says. "Obviously, it&apos;s a buyer&apos;s market right now." Cedar Island owner Shapiro says he is ahead of last year in terms of brokerage sales, but he maintains it is impossible to compete with the liquidators. Prices for used boats are down nearly a third from a year ago, he says. "We&apos;re seeing more repossessions here. I just got a call today, and they&apos;re coming Monday to get a boat," says Shapiro, who worries liquidations will increase in the coming winter. "I don&apos;t know how anybody can justify a new boat these days," Shapiro says. "With the prices and just a flood of used recent models available, it doesn&apos;t make sense to spend that money to get a new one. And the uncertainty&apos;s a big factor, too. Even if they haven&apos;t lost their job, they don&apos;t know what tomorrow&apos;s going to bring." As one dealer says, it is less about what the consumer can afford than what he is comfortable buying. The Conference Board&apos;s Consumer Confidence Index, which had improved to 54.5 in August, dipped to 53.1 in September. The decline continued in October, when the index stood at 47.7. Everyone is "hunkered down in survival mode now," says Reo. "Businesses across the board are watching their bottom lines." Swanton, of the Maine Marine Trades Association, says there has been some movement in the right direction with buyers who are at least considering purchasing a boat. "From what I hear, there are some coming through with deposits, and it doesn&apos;t take a million of those to happen before there starts to be some momentum created," she says. Maine&apos;s noted custom building business is doing OK because the builders tend to also focus on service, Swanton says. "Very few of our builders are nothing but builders," she says. "Most have the capacity to do service on their boats and on other boats, and many have marinas attached to their operations." didn&apos;t come out, he says, but this year there was more interest, though some buyers were still hesitant to pull the trigger. "June weather made it difficult, so we were playing catch-up. But August was beautiful, and people got to really enjoy their boats," says Irwin. "If the weather was OK, people went out boating anyway because that&apos;s what they do. 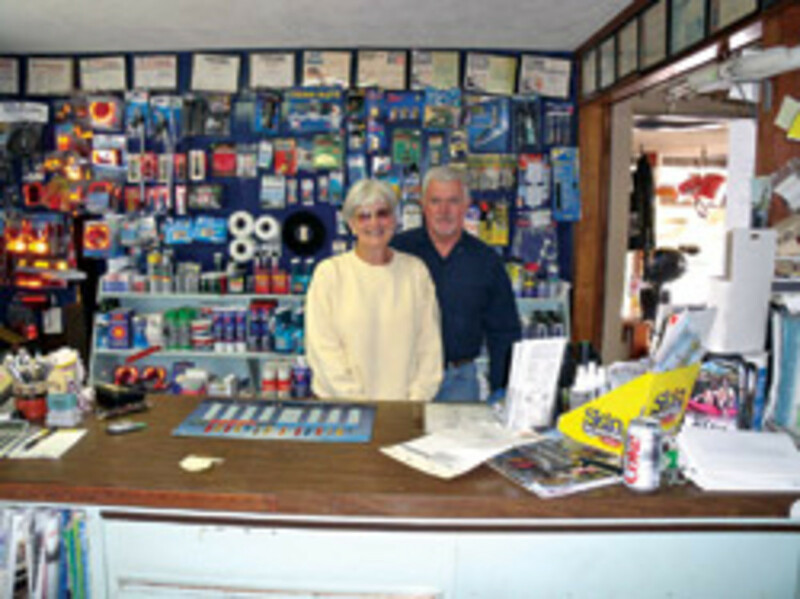 Our ships store did very well, and our service was busy all year long. New units were soft, but used units were surprisingly good. People were out looking for specific boats, and if the price was right, they did buy it." Business at Boston-area Russo Marine improved this summer because the dealership is capturing a greater market share, says owner Larry Russo, a board member of the Massachusetts Marine Trades Association. June sales were up 21 percent over 2008, and August was 23 percent higher. July was flat, which Russo attributes in part to bad weather. 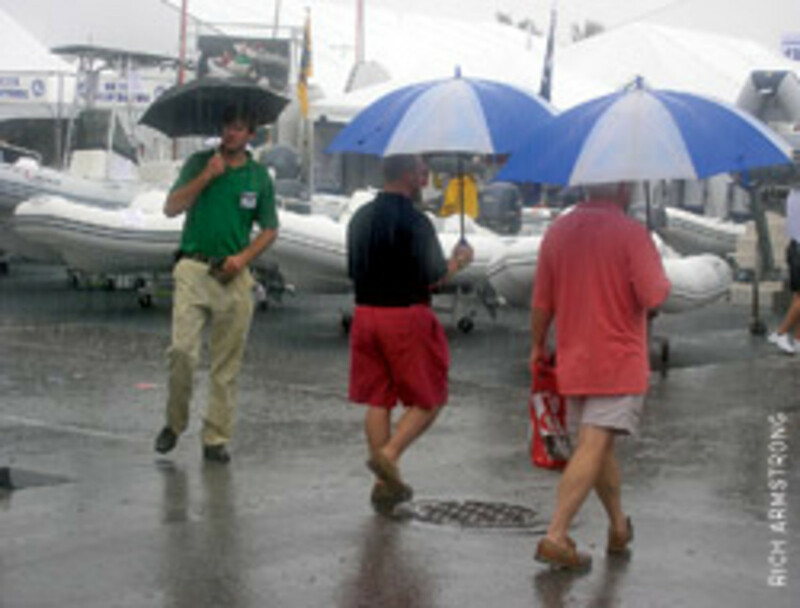 The early boat shows were a mixed bag for many in the region. There were more serious inquiries about boats at the Maine Boats, Homes & Harbors Show in August, but that didn&apos;t necessarily translate to more sales, Swanton says. "Attitudes were upbeat because there were more serious potential buyers at the show," she says. "And the weather was phenomenal that weekend." Several regional shows are making adjustments, and the Boston In-Water Boat Show was canceled - in part because of low dealer turnout at the Newport, R.I., show, Russo says. "At the Newport show, [many] major brands ... that have been the backbone support of that show for 20 years were not present, so that makes you think, Why aren&apos;t these brands at this boat show?" Russo says. At least 10 well-known brands in the 20- to 40-foot range that were at the show last year didn&apos;t make it in 2009, Russo says, including Chris-Craft, Wellcraft, Carver, Regal and Formula. Russo speculates that the dealerships representing some of those brands either forfeited them or went out of business. "So the marine industry in the Northeast is as troubled as in other parts of the country, I&apos;m sure, but the marine industry here is not reflective of the general economy in the Northeast," he says. "I think that it is still generally healthy, but there are boat dealers who live in this area who are struggling and going out of business. Most of us don&apos;t know it, because [they don&apos;t] put out a press release." And Russo says he hasn&apos;t seen other dealers stepping in to pick up the orphaned brands. "Manufacturers are going to be very challenged in the future," he says. "It&apos;s one thing to lose a dealer, but if you can&apos;t replace him, wow." Swanton, Westerson and Squeri all say they haven&apos;t lost many dealers in their areas, but Phil Keeter, president of the Marine Retailers Association of America, thinks the industry will see more dealerships go out of business. Most of that information will be anecdotal, since it is typically difficult to track. "One of the biggest problems boat dealers are seeing now is financing - for customers and for themselves," says Westerson. "Marine wholesale companies decided to all get out of the market at the same time, or they&apos;re trying to get home runs by charging high rates." While the rates aren&apos;t the highest Westerson has seen in his 40-plus years in the industry - 21 percent back in the early 1980s was the top rate - he says some dealers can&apos;t get the wholesale financing they need to operate. Russo says his biggest challenge in selling boats has been finding financing for buyers, because lenders have such stringent criteria these days. On top of that, trades are increasingly difficult to accept because the NADA book values have plummeted so drastically, he says. "In most cases, the boats are being extremely undervalued," Russo says. "There should be more market testing by publishers, and they ought to be revised on a regular basis." For example, a used 17-foot Boston Whaler that Russo Marine sold for $19,000 had a value set at $7,500 in the NADA guide. When the bank learns the NADA guide assigns a value of $7,500 to the boat, it&apos;s only going to finance $5,000, Russo says. "Those kinds of discrepancies go on every day with all different types and sizes of boats," he says. "They&apos;re not paying attention to real transactional values." Consumer lenders also are appraising non-current new-boat inventory as though they were used boats, Russo says, which is tough on dealers who are carrying aged inventory. However, all of the dealers interviewed for this story say their inventories are at manageable levels. Although most agree it will be a long, uphill battle, some maintain the Northeast hasn&apos;t had as severe a crash as other parts of the country and already see signs of a rebound. However, there are still businesses going under and people losing houses, says McKinsey, the Provincetown harbormaster. But he says his realtor friends are busy again - a sign that sellers are coming to grips with today&apos;s property values. "Because this is such a unique place, it was less affected by the economy and those factors than other places would be," he says of Cape Cod, Mass. There also wasn&apos;t the explosion of building and growth in the Northeast in recent years that other parts of the country saw. That&apos;s because zoning laws and an already-crowded landscape make residential and commercial building difficult, Shapiro says. Rapid building and high demand, followed by weak demand and foreclosures, caused areas such as Florida to see drastic declines in housing prices. While the Northeast has seen values drop, they might not have fallen as drastically as in the rapid-growth regions of the country. Manhattan&apos;s housing market is also making its way back, says Squeri. "But it&apos;s a cautious rebound," he says. The Northeast is also lucky to have several strong industries, Russo says, from the financial sector, to biotech, education and health care. Irwin Marine and Reo Marine have gotten a boost from Canadian neighbors who have crossed the border to buy boats. "The dollar is closer than you think," says Reo. "I think the prices here in the States are better than the prices in Canada, so between the taxes they pay and the offset of the dollar, it&apos;s still beneficial for them to buy them here." While his Canadian clients usually buy used boats, this year they have been going home with new product in the $40,000 to $60,000 range, Reo says, and they have accounted for 20 percent of his sales in 2009. With the off-season now here in the Northeast, winterization and storage should also provide a business boost. One dealer told Keeter in October his inventory is manageable, but he isn&apos;t making any sales. However, he is gearing up to store 250 boats and that, he says, is how he&apos;ll make it through the winter. Fall began unseasonably cool, so several of Shapiro&apos;s customers had already winterized by mid-October. Shapiro offers a 10 percent discount to those who pull their boats before Oct. 10. That not only saves the boater money, it saves Shapiro the overtime he would otherwise have to pay employees to work long hours in the late fall. And despite the miserable weather, repairs were up over last year, he says. Many of his customers grew tired of paying slip fees, storage, and boat and insurance payments only to keep their boats at the dock. Some told him that regardless of the weather and the economy, they were not going to sit around - and boats that get used need servicing. The service segment also got a boost from people waiting for the economy to settle before replacing their boats. When people don&apos;t buy new boats, they tend to put money into old boats, Westerson says. And the engine problems associated with ethanol-blended gasoline has meant even more service and repair business. The marine industry is poised for major changes, both in the Northeast and nationwide, Swanton predicts. "I don&apos;t think anything will look exactly as it did a few years ago," she says. "I don&apos;t think our society is going to look the way it did a few years ago. It will be smarter and leaner, but frankly I think we&apos;ve been heading in smarter directions about how we do business anyway."